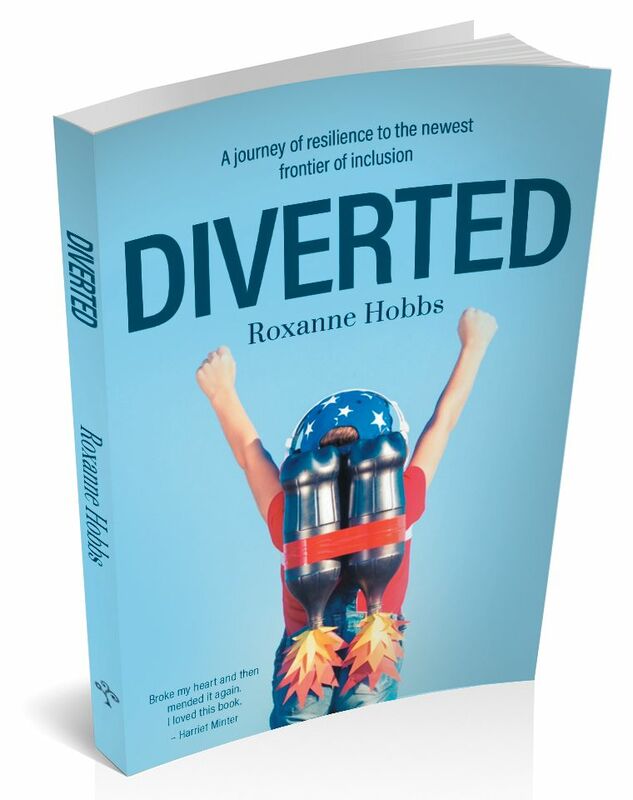 'Diverted' reshapes our understanding of what it is to be human and to live in a more inclusive world. Roxanne and her husband were blindsided when their son’s schoolteacher suggested that their five-year-old was autistic. In a five-minute meeting, the shift from confident parents of a ‘normal’ child to parents who had a son with suspected special needs was all too sudden. As a result of their experiences, Roxanne and her husband have expanded their understanding of resilience and humanity. This has inspired them to implement the change that they want to see in the world. They now believe neurodiversity to be the newest frontier of inclusion. Diverted is the journey of their struggle, their learning and, ultimately, their strength. It is the story of an ongoing mission for two parents to make sense of their reaction as their preconceptions shift. This inspiring book reshapes our understanding of what it is to be human and to live in a more inclusive world. Diverted is available on Kindle, Kobo, iBooks and more. Roxanne is a key influencer in driving the Inclusivity and Diversity agenda in the advertising industry. She founded The Hobbs Consultancy as a result of a deep-seated belief that the advertising industry could and should support female talent to a much greater degree. She soon realised that solely coaching women advocated the message that women are "broken” and "need fixing”, a far cry from the reality. Roxanne also noticed that there are many other groups that also lack the necessary confidence to assert themselves in the advertising industry. She broadened the scope of her work accordingly, with a particularly interest in introverts. In March 2017, Roxanne’s eldest son was diagnosed with ASD. She was immediately struck by how we ask those that aren't neurotypical to change so that they conform with neurotypical norms. She is now heavily involved in sparking and consequently sustaining a conversation about Neurodiversity in the advertising industry – so that individuals with potential are equipped with the necessary skills and knowledge to thrive in this environment. Roxanne uses the Co-Active model in her coaching, which is built on the cornerstone that we are all innately resourceful, creative and whole. Roxanne is also a certified Daring Way™Facilitator – using Brené Brown's curriculum to support participants in showing up and being seen in the workplace. She lives in Hackney with her husband, two sons and a crazy puggle. Download a copy of the Advance Information for Diverted here.